KGM is a second generation, highway heavy construction contractor. Karla, Kerry, Mark and Gary grew up on the big equipment, working for their dad. They started their own small trucking company in the early 1980's and have been growing ever since. 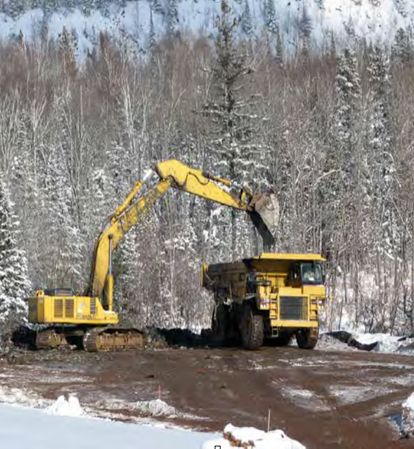 By focusing on quality and customer satisfaction, KGM has developed into one of the largest highway heavy contractors in Northeastern Minnesota. Today, KGM manages up to 200 employees with projects ranging from $5,000 to over $30 million. Through ingenuity and innovation, KGM pioneers a competitive industry. In 2004, KGM acquired GPS technology for all of their finishing equipment. This equipment provides each individual operator the capability of meticulous work accuracy within 5/100ths of a foot. KGM works hard to stay on the cutting edge and this technology puts them at the top of the list when it comes to precision work. Along with technology and project management, commitment to employees is vital to KGM's success. Many employees have been with the company since its inception and all are committed to the mission put before them. Whether seasonal or year round, on site or in the office, each employee contributes to the company's success. Working together, the team in the office and the boots-on-the-ground crew perennially produce top-notch projects throughout the Upper Midwest.